It can be agreed that the occupation of a firefighter is certainly one of those occupations that have many hazards and risks associated with it. A hazard can be defined as “a potential source of harm or adverse health effect on a person or persons” and a risk can be defined as “the likelihood that a person may be harmed or suffers adverse health effects if exposed to a hazard.” (has.ie).The movie “Ladder 49” was able to illustrate numerous hazards such as physical, temperature, and pressure hazards. A physical hazard is defined by tooling.com as “A factor within the environment that can harm the body without essentially touching it.” An identified physical hazard in the movie was the absence of proper gurney for the moving of an injured individual. The consequence of this action could be long term in that the injured could be left paralyzed for life. This hazard could have been corrected with the use of a “stretcher” that are usually provided by an ambulance. However, in the situation where there is uncontrollable fire and the person needs to be immediately evacuated from the building, a stable piece of wooden slab could have been used. The removal of Jack’s protective headgear during the preceding of saving a victim in a burning building is also considered to be a physical hazard. Such action could have resulted in falling hazards where burning objects could have fallen onto his head making him susceptible to risks because he could have been injured with burns. Therefore, the most appropriate preventative measure of falling hazards will be to wear the headgear and all other appropriate protective gears (personal protective equipment) at all times regardless if the situation is mild. The employer, representative or senior should have taken the initiative to enforce such policies. We all have the fear of experiencing a fire and if we could handle the situation. How we are going to deal with that situation? I have encountered such situation indirectly at my primary school in San Fernando. I attended San Fernando Boys RC School, which is located on the promenade. Behind the school High Street is located. 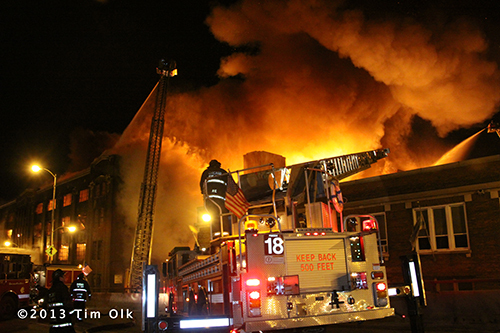 Many years ago there was a fire at one of the malls on High Street where the entire building was completely burnt. What I could remember was the massive amounts of smoke that affected our breathing and ability of sight. The principle had no choice to evacuate the entire school including all staff and students as we were suffering from smoke inhalation. This was very hazardous at the time to any person on the compound. The principle told all students to remain calm and not to run out of the building but instead to evacuate class by class. Once the school was evacuated we all stood on the promenade which was the school muster point at that time. 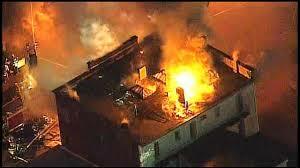 We would see trucks upon trucks with fire men heading towards the burning building. They were all dressed in their protective gear and managed to contain the fire not allowing it to spread to other nearby buildings. The school had to be closed for two days due to the smoke emulating from the burnt building. “Horse playing” was also categorized as a physical hazard. This was displayed when a fellow firefighter lit a piece of paper as a “joke” and through it under the washroom cubical even though it was occupied by another firefighter. This meant that the person in the washroom was at risk because such action could have led to serious burn on that person. “Horse playing” could have controlled with the development and enforcement of rules in the work place. Employees are not supposed to be engaging in such activities in the workplace since the OSH Act states that employees ought to behave in a coherent manner in the workplace. Apart from physical hazard, temperature hazards were also enclosed in the movie. Firefighters are always exposed to heat extending at different levels while they are on duty. This was evident when Jack removed his headgear while he was inside the burning building. This could have resulted with him suffering from heat stress which would have affected his performance and safety. This led his life at risk since he could have fainted and possibly suffer from burns, or worse, burn to death. Therefore, a mitigation strategy for such an action is education. Proper education to the employees as to the importance of wearing safety gears should be delivered to every employee. They should be told about the consequences of not wearing their protective gears and possibly draw to their attention of employees who had been victims of risk when they did not wear their protective gears. This would thereby stimulate extra interest in employees to wear their safety gears and will also be an opportunity in which the organization is complying with Occupational Health and Safety Act by safeguarding employees’ safety in the workplace. Another class of hazard demonstrated by Ladder 49 was pressure hazards. Pressure hazard is defined as “the force exerted against an opposing fluid or thrust distributed over a surface where critical injury and damage can occur with relatively little pressure”. During the investigation of a building by some of the firefighters, pressure was built up inside a pipe which eventually erupted and the pressure was released which burnt a firefighter’s face and also another firefighter’s hands. This harm could have been reduced to the firefighters if they were wearing the suitable protective equipment that is able to defend them in such circumstances. The productive equipment that was supplied to the firefighters should have been made with special materials that could protect the firefighters from such dangerous pressure. The smoking of cigarettes from a senior firefighter as well as other firefighter’s is an additional hazard. When the superior firefighter was blatantly smoking in front Jack and the others, they must have thought that smoking in the workplace was acceptable hence the reason others were also smoking. The implications of this could be respiratory disease from those who would have inhaled the second hand smoking. In order to prevent this, ethical approach to workplace behavior should begin from the highest level of the hierarchy. That is, if the superiors practice a “no smoking” protocol in the workplace, then the lower level employees (firefighters) will be likely to follow suit. There are many risks and hazards as a firefighter ranging at different levels. Therefore, it is necessary or rather mandatory to implement preventative and corrective measures to reduce the level of risks to ensure that safety and health is maintained. Occupational Safety and Health (prescribed Forms) Order. OSHA. (2009). Hexavalent Chronium. U.S: Department of Labor. 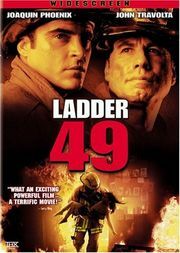 The movie Ladder 49 is used as a platform to discuss matters related occupational, health and safety issues firefighters’ face in the line of duty. The posts identifies there several health hazards portrayed in the movie: physical, temperature and pressure hazards. 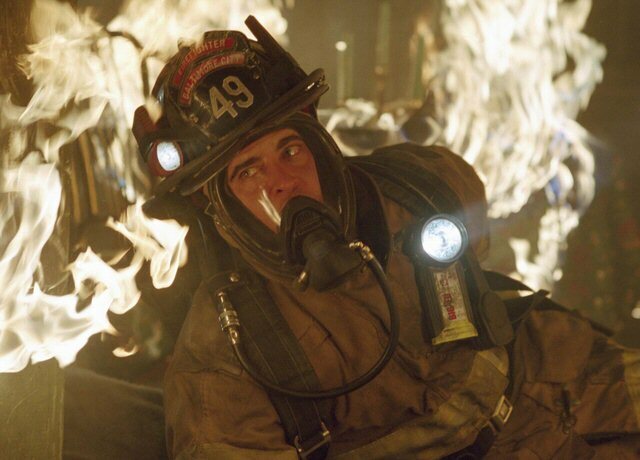 To capture the readers’ interest, scenes from the movie Ladder 49 are integrated along with the definitions of OSH related terms to educate the reader about safety practices that should be observed during a fire by the firefighter and in the workplace. 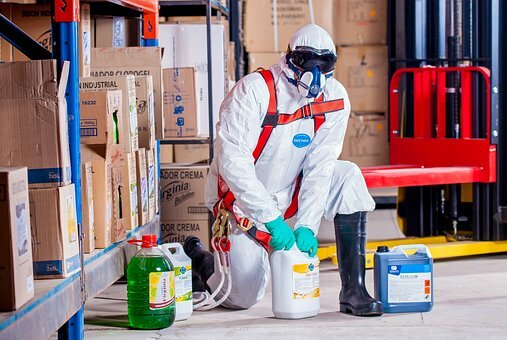 The article highlighted aspects as to why occupational, health and safety issues are important in the workplace and the consequences of what can occur if employees do not comply with the OSHA Ach. It was written based on the movie Ladder 49. The article was a good article as it used several examples to make reference to real issues that occurred in the workplace such as: horse playing in the workplace, whereby a firefighter lit a piece of paper as a joke and threw it under the washroom area where the firefighter was positioned. I also like the idea of how the blog writer wrote about his own personal experience as a young child in primary school having to escape from inhaling smoke after the mall next to his school was being burnt. It helped readers to understand that safety is not just for employees employed in major industries that use heavy equipment or machinery but it is also important for students even at primary schools to understand as well. From a very young age children should have knowledge and understanding about health and safety. 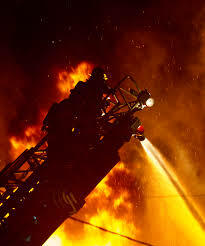 This article was written based on the movie Ladder 49. I like the way the article highlighted aspects as to why occupational, health and safety issues are important in the workplace and the consequences that can occur if employees do not comply with the OSHA Ach. I also like the idea as to how the blog writer wrote about his own personal experience as a young child in primary school having to escape from inhaling smoke after the mall next to his school was being burnt. This can help readers to understand that safety is not just for employees employed in major industries that use heavy equipment or machinery but it is also important for students even at primary schools to understand as well. From a very young age children should have knowledge and understanding about health and safety issues.